After a month of shopping, wrapping presents, non-stop parties, and dealing with the aftermath of those non-stop parties, you could spend all of Christmas Day running around the kitchen cooking up a delicious feast. Or you could spend it at one of these restaurants, many of which are offering special holiday menus, and all of which won’t ask you to help with the dishes. 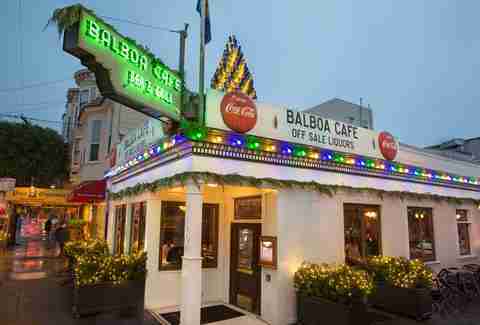 This classic SF spot will be serving a limited lunch menu from noon to 2pm followed immediately by a special à la carte Christmas menu until 8pm. Expect dishes like blue crab cakes, herb roasted prime rib, roasted campfire chicken, truffle risotto, flourless chocolate torte, and a citrus olive oil cake. See the entire menu here. Reservations are highly recommended and must be made over the phone (415-921-3944), but you can try your chance at a seat in the bar area. 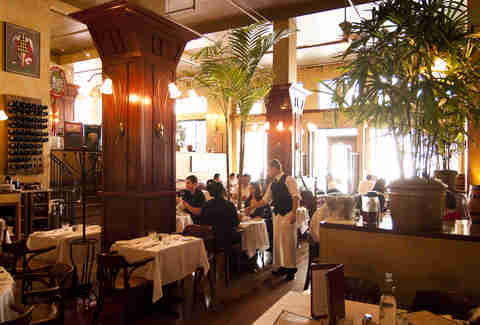 Enjoy a special $95 four-course prix fixe menu at this 1930s-style café. Options include lobster bisque, foie gras au torchon, Dungeness crab cake, beef wellington, and a traditional chocolate Christmas log. Dinner will be offered from 5:30 to 9pm. Executive chef Srijith Gopinathan created a special $170 tasting menu that features dishes like a Winter Salad with baby beets and sheep’s milk curd; poached lobster with hearts of palm, chantenay carrot and coconut curry; and roasted Angus beef tenderloin with black trumpets, truffle jus and broccoli de cicco. The menu, which also has vegetarian options for each course, is available from 11:30am to 9pm. Wine pairings are an additional $98. The Cavalier is serving an $85 four-course prix fixe menu that includes selections like a baked brie and black truffle tart, grilled angus ribeye, and pumpkin cranberry pecan upside down cake, as well as sides like maple glazed carrots and brandied applesauce for the table. Wine pairings are an additional $55 per guest. See the entire menu here. If you’re going to eat at Espetus on Christmas, make sure you arrive hungry for the gourmet salad bar and the endless roasted meats (14 cuts to be exact) served by roaming gauchos who won’t stop piling meat on your plate until you tell them you’re full. Dinner is served from 5 to 10pm. 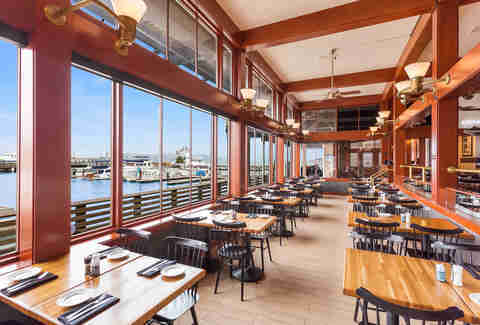 Fog Harbor has all of the quintessential SF food, including fresh sourdough bread, Dungeness crab served over a dozen different ways, clam chowder, and cioppino. On Christmas they’ll also be offering some specials. The restaurant is open from 11am to 10pm and while reservations are accepted, they also save plenty of room for walk-ins. MKT Restaurant is giving the diners the best of both worlds on Christmas with a meal that is part buffet and part table service. Start at the appetizer “table” where you’ll find fresh seafood and sushi, cheese platters, deviled eggs, glazed ham and more. Entrees choices include a rack of lamb and prime rib, but save room for dessert which will include red velvet cupcakes, gingerbread cheesecake verrine, chocolate buche de noel, and more. The feast is $125 per guest. 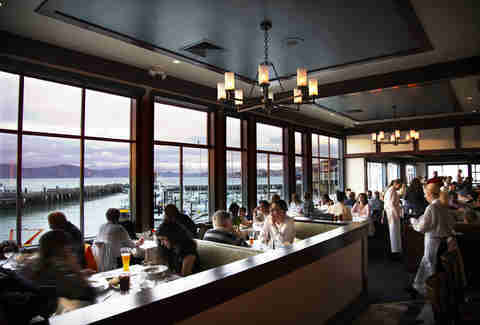 Call 415-633-3838 to make reservations from noon to 8pm. 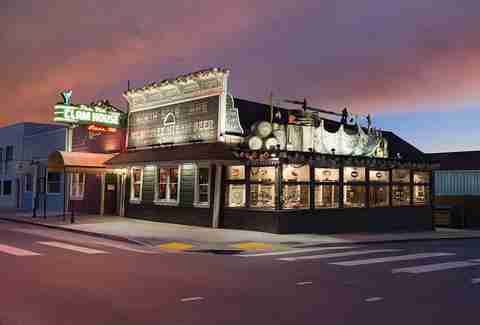 The Old Clam House will be serving its daily menu from 11:30am to 10pm, which means you can order iron skillet-roasted mussels, shrimp, and crab, clam chowder, baked cioppino, and Dungeness crab in the “secret” garlic butter sauce. Just be sure not to fill up on the famous garlic bread. 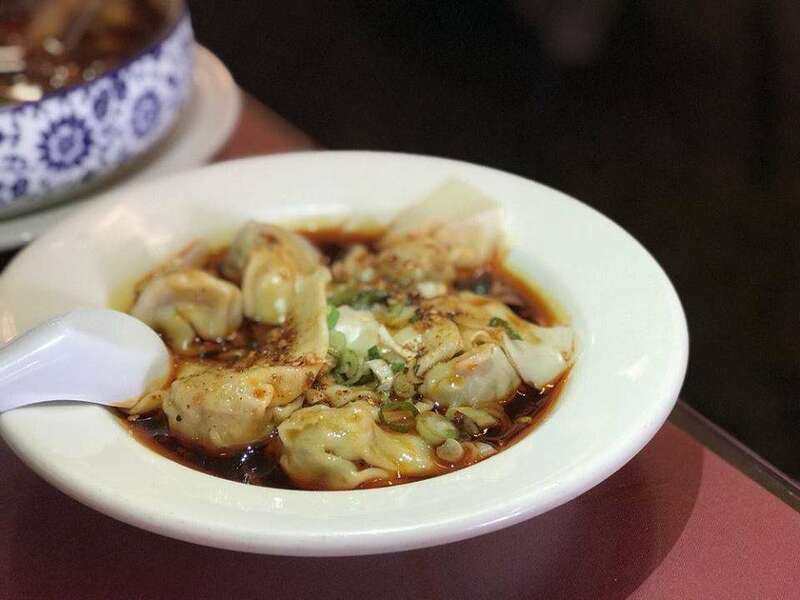 Get your dumpling fix all day at this dim sum palace. The carts will be rolling and serving all of your favorites from 10am to 4pm. 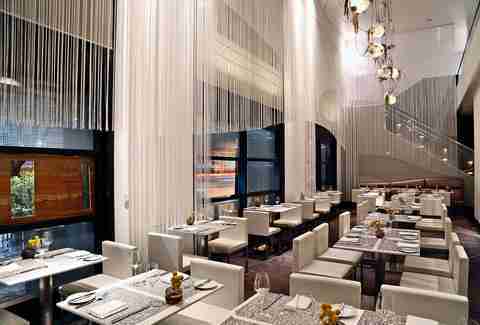 Chef Michael Rotondo puts out amazing food at this sophisticated restaurant inside of the (festively-decorated) Ritz-Carlton. On Christmas, he’ll be presenting a $149 four-course seasonally-inspired menu with dishes like beef tenderloin and sea scallops finished with winter harvest vegetables. 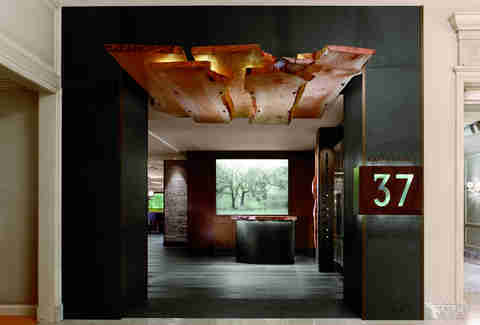 Reservations can be placed by calling 415-773-6168. Yes, Pier 39 is touristy, but Pier Market also has really great views of the water and fresh seafood, including whole Dungeness crabs. 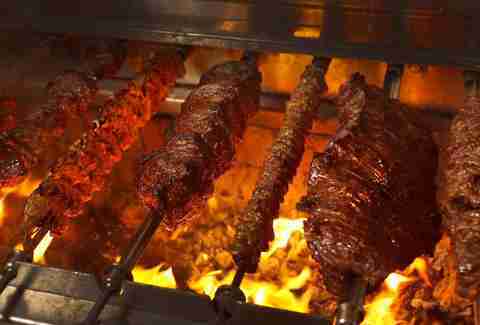 There are also of plenty of grilled meat options for people who prefer New York strip to lobster tails. The restaurant will be open from 11am to 10pm, and though they do accept reservations, they save many tables for walk-ins as well. 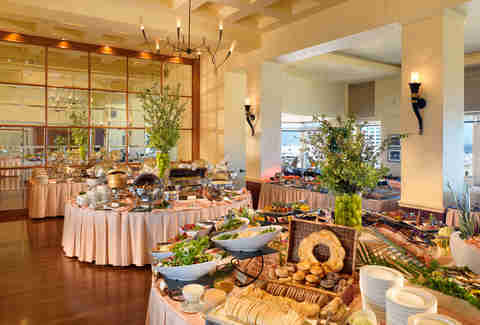 If indulgence is what you’re after on Christmas Day, head to the 19th floor of the Mark Hopkins Hotel where you can enjoy an over-the-top buffet while taking in gorgeous views of the city and listening to live piano. There will be seafood stations, prime rib, dim sum, waffles and made-to-order eggs (at brunch), a pasta station (at dinner), and assorted desserts, including a bananas foster station. Brunch is from 9:30am to 1pm and dinner is from 3 to 7pm. Both are $145 for adults. 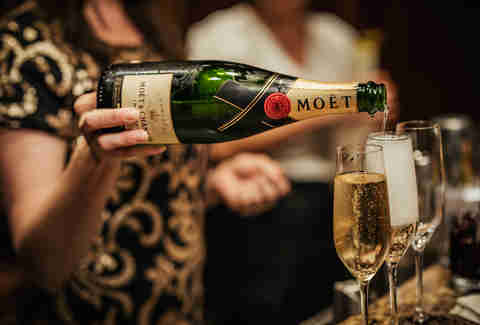 Call 415-616-6941 for reservations. Trace is keeping it simple with a $75 four-course tasting menu that includes an eggnog amuse bouche, ahi tuna starter, choice of ribeye or cioppino for the entrée, and a dark chocolate tart for dessert. Wine pairings are an additional $35. Christmas dinner will be served from 5 to 9pm. 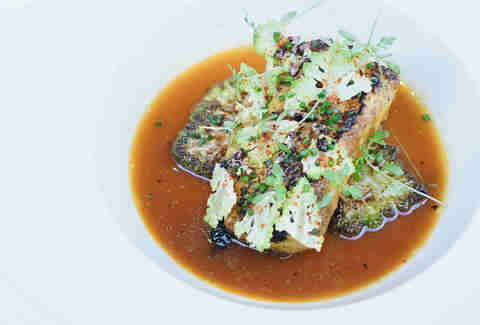 Call 415-817-7836 for reservations. Sure you could order Chinese, but why when you could head to this 2018 Bib Michelin Gourmand that’s one of the best Chinese restaurants in SF? 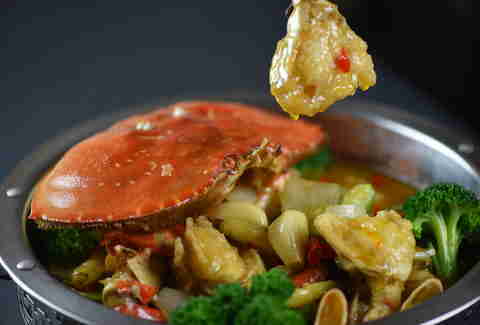 Chef Han will be cooking up his entire menu of authentic Sichuan and Northern Chinese classics, including Chicken with Explosive Chili Pepper, Spicy Fish With Flaming Chili Oil, Tan Tan Noodles, and Spicy and Sour Dungeness Crab.